Recent Pixel 3 and XL leaks show that the upcoming Google device may have a notch. You may like it or not, but leaks say the device will have a notch. Pixel 3 is an upcoming device by Google. 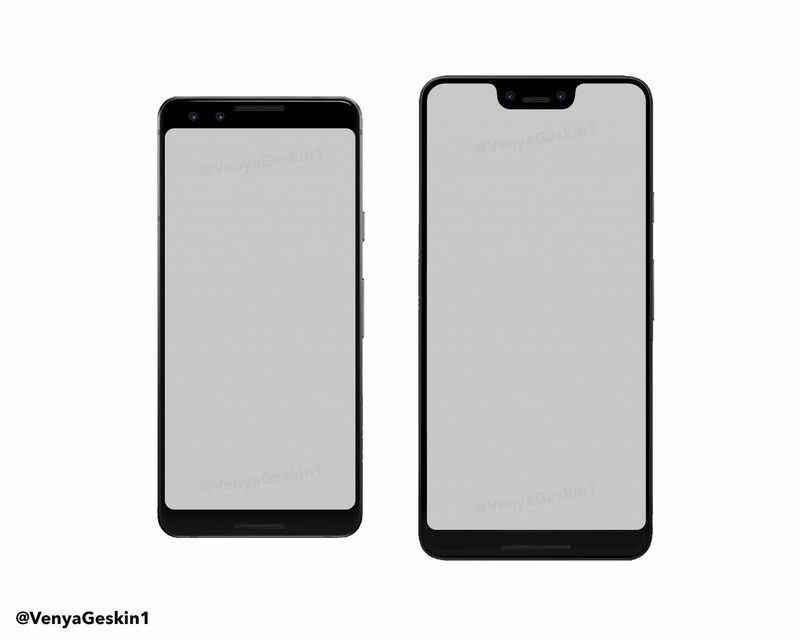 There would be two versions i.e., Google Pixel 3 and Google Pixel 3 XL. Google replaced its Nexus series with Pixel series. These devices are designed by Google as the company has bought a big part of HTC’s cell division. Well, that is a set of screen protectors. Thee screen protectors show that the bigger variant of next flagship device will have a notch. Smaller variant, i.e., Pixel 3 won’t have any notch. The devices will be unveiled later this year. The leaks also show some other information. It looks like the device may have dual front cameras. Google won’t put two cameras on the front, so the other round circle could be for a sensor. It is still not clear whether we will be able to hide the notch or not. Oneplus has a notch but it allows to hide it, and people are liking. The notch trend started with Essential Phone 1. It has a small notch at the top for the speaker. Then Apple opted for the notch in their iPhone X. And then it became a sort of trend and every other OEM wanted to offer full-screen display. Notch was the only way to do this. There are some OEMs which did an all screen display before Apple and Essential without any notch. Mi Mix 6 was full-screen mobile without notch. It is very upsetting moment that Pixel 3 XL will have a notch. Notch is criticized from the day one because it gives an annoying look. However; these are only some leaks and we are not 100% sure that Pixel 3 will have a notch. We will you updated with the on-going story.